"How L.A. Works: Smart Trash Cans"
The panel on top fuels a 12-volt battery that powers the compactor. Though lack of sunshine isn’t usually a problem in L.A., the panel doesn’t need direct light to function; even a snowy Stockholm winter wouldn’t slow it down. The 6-by-17-inch opening allows for waste to be easily deposited but prevents access to the already-compacted trash. To get rid of that In-N-Out wrapper, you’re going to have to employ a move more like mailing a letter than making a free throw. The unit isn’t all belly—it has a brain, too. 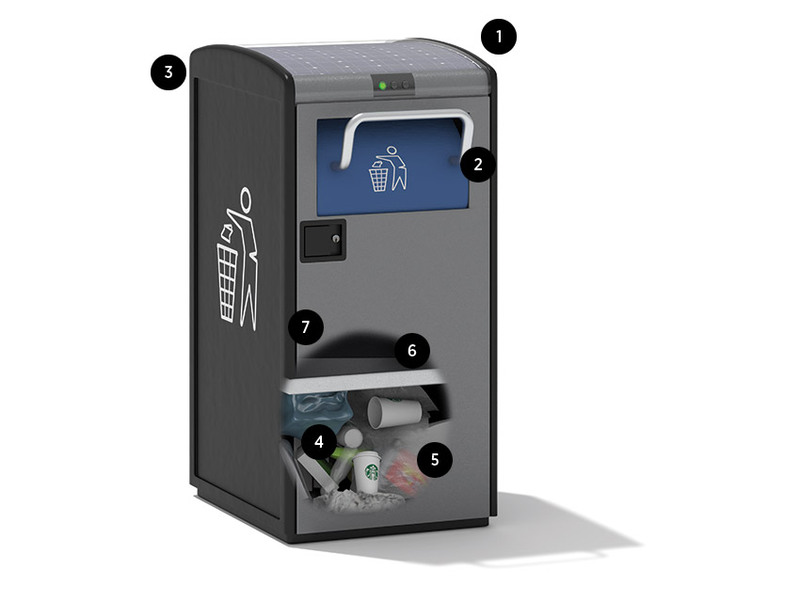 Sensors gauge the bin’s fullness, and trash collectors are alerted via text message or e-mail to remove the contents. The system aggregates data about all the cans in an area to improve collection efficiency. In the future, the cans could serve as public Wi-Fi hot spots. All those Starbucks runs add up. Los Angeles County disposed of approximately 9 million tons of trash in 2012—an average of 4.7 pounds per person per day. Liner bags—supplied by WasteZero and made of recycled materials­—prevent the interior from getting too gross. The automated steel device compresses the contents, enabling pick-ups to be made less frequently, which saves time and money. The unit holds about five times what fits in a typical trash can. 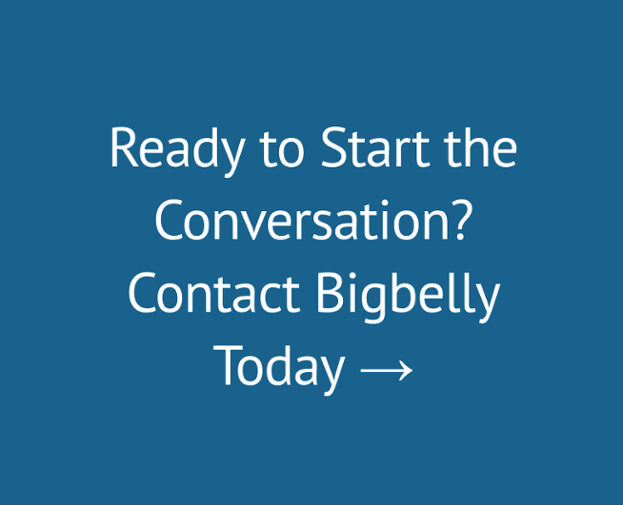 For areas with less foot traffic, there’s the Smartbelly model, which has the sensors but not the compactor. Made of sheet metal with heavy-duty plastic side panels, Bigbelly is weatherized and scratch resistant. Trash collectors empty the bin by unlocking the front door with a master key.